I actually got to sleep in! It felt wonderful to get a good night’s sleep and I felt very refreshed in the morning. The hotel bed was very comfortable but my desire to see Stratford got me out of bed. Once Liz and I finally made our way downstairs, there was a long table with just enough seats for all 17 members of our group. We were surprised to find that we were the first ones downstairs – I guess our entire group was exhausted from London. There was a buffet filled with hot breakfast items and I didn’t know where to begin! 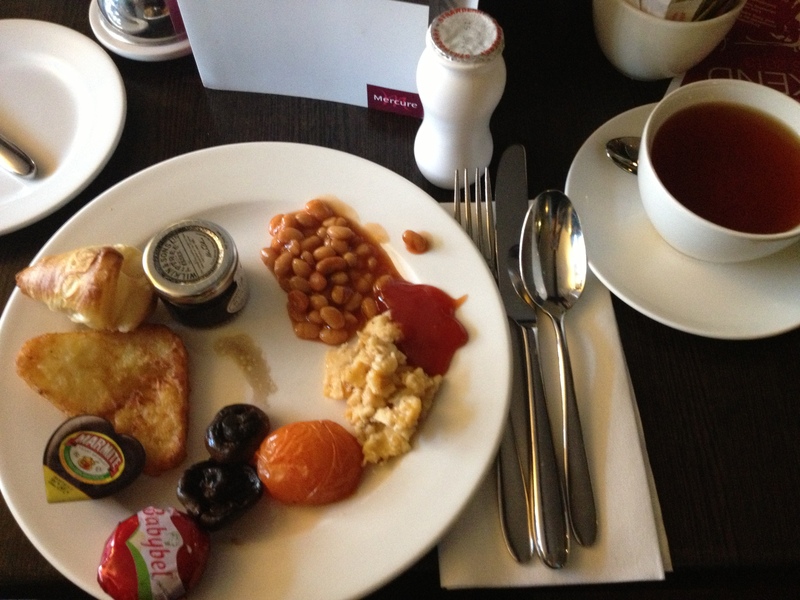 I had scrambled eggs, baked beans, mushrooms, yogurt, a piece of cheese and a croissant with black currant jam (which was perfect with a cup of tea). I also tried Marmite on a piece of toast but I wasn’t a fan. As the rest of our group made its way down to breakfast, we chatted about The Merry Wives of Windsor and how beautiful it was in the country. I could definitely get used to Stratford! In the afternoon we took a bus to Warwick Castle. Our professors had warned us that the castle had been “Disneyfied” but I was not expecting it to be quite so commercialized – it felt more like a tourist trap than a historical site. The outside of the castle was breathtaking, but the inside seemed artificial. Each room was filled with (rather creepy) wax figures positioned to show what life was like in the castle. Many of the figures also had sound recordings and they “talked” with each other or to the people in the room. I felt like the figures took away from the charm of the castle and I would have preferred the rooms to only have furniture. 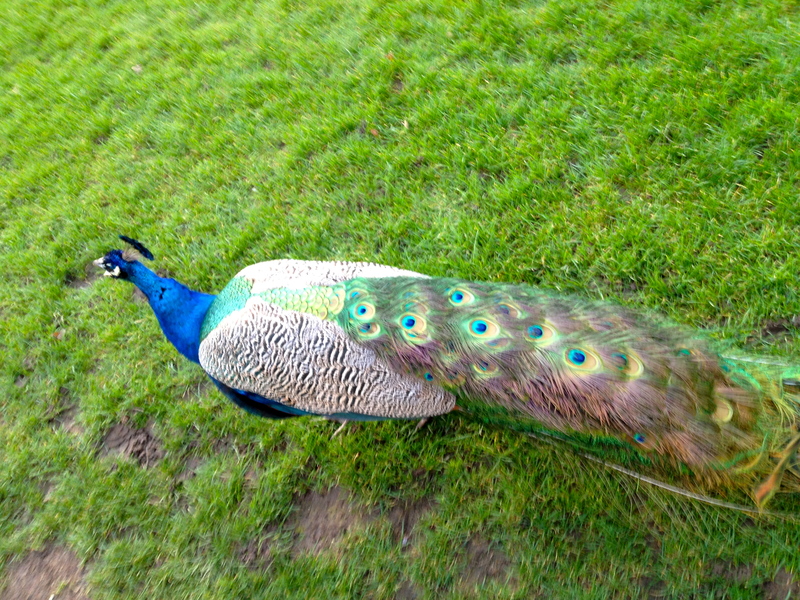 After our tour of the castle we were given some free time to wander around on our own and we saw a peacock roaming the castle grounds. 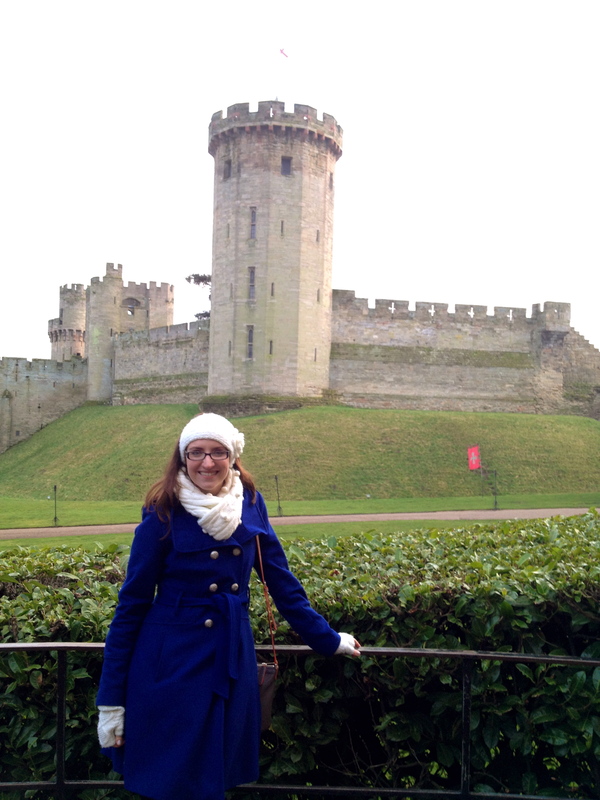 Even though it was very cold outside, I enjoyed walking around the castle and taking in the sights and sounds. Before long it was time to catch the bus and head back to the hotel. 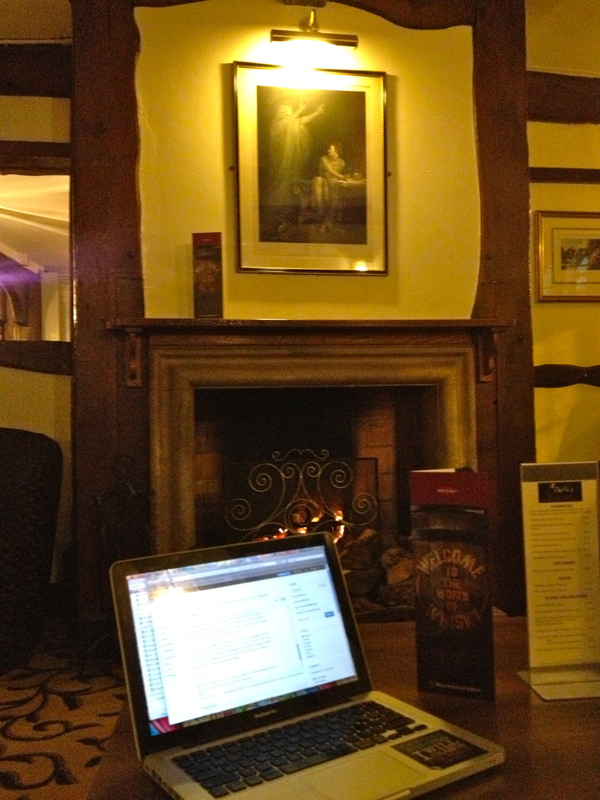 I had some time to blog before dinner so I sat by the fireplace in the hotel lobby and soaked in my surroundings. I am just in love with this hotel! Inside there is a bar called “The Quill” and a restaurant called Othello’s. I really wish I could live here. In the evening we had a three-course group dinner at Othello’s and while we were eating it started to snow. It was such a peaceful way to end the day.